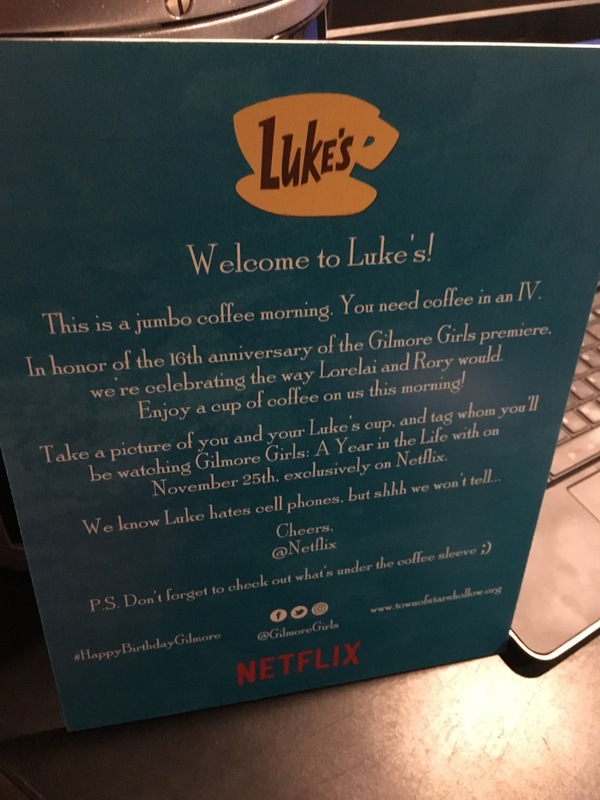 To promote the November 25th release of Gilmore Girls A Year in the Life, and celebrate the 16th anniversary of the premiere of the series, Netflix hosted hundreds of pop up Luke’s diners and served up free coffee to the first 200 visitors. I, of course, had to be there! As did my fellow Gilmore Girls loving friend Brittane. This wasn’t our first rodeo, so we knew we needed to get there early. 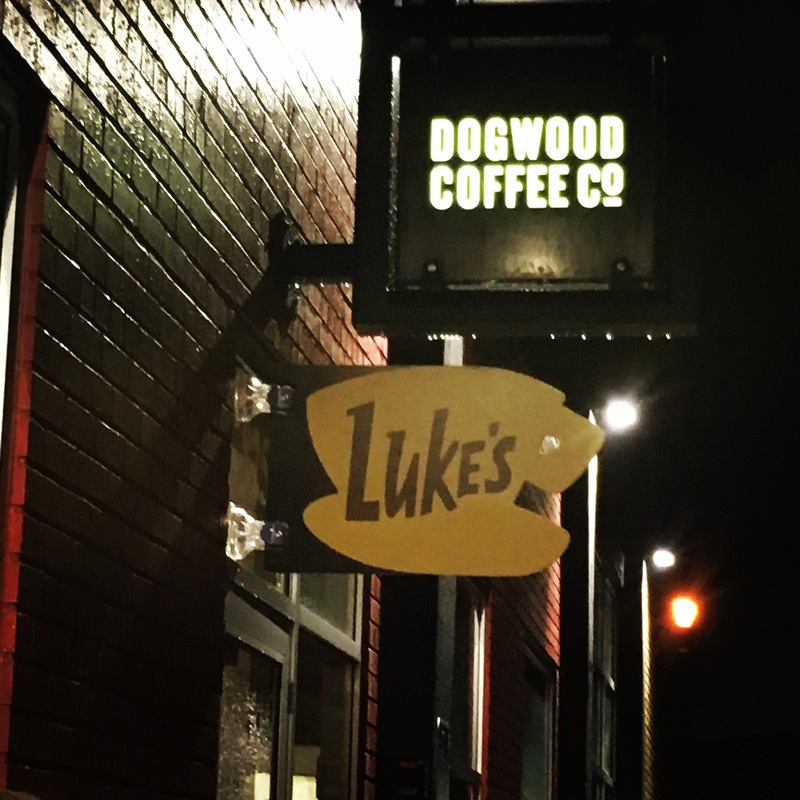 Dogwood Coffee opens at 7 AM, so we arrived a little after 6 to get our spots. 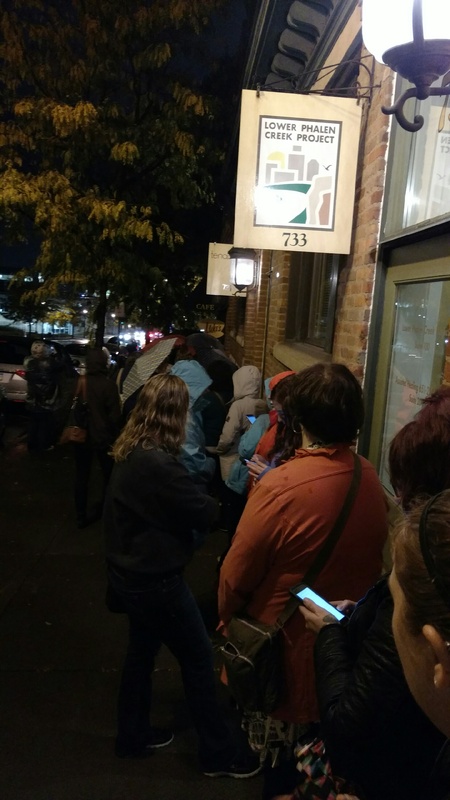 We were around the 10th/11th people in line. Luckily it had quit raining and wasn’t too cold. 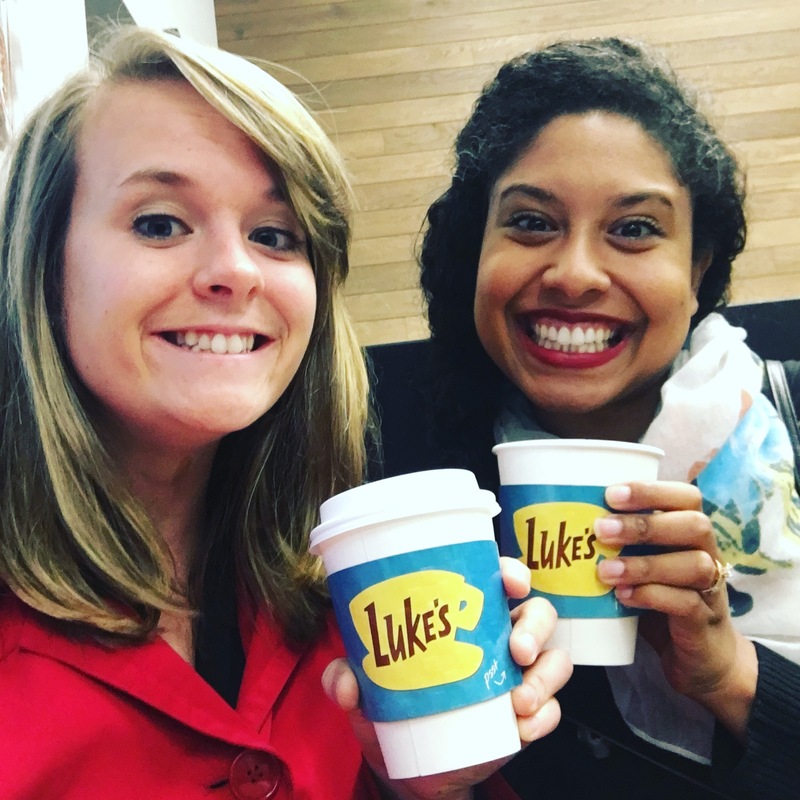 We used our time in line to plan our upcoming Gilmore Girls viewing party. 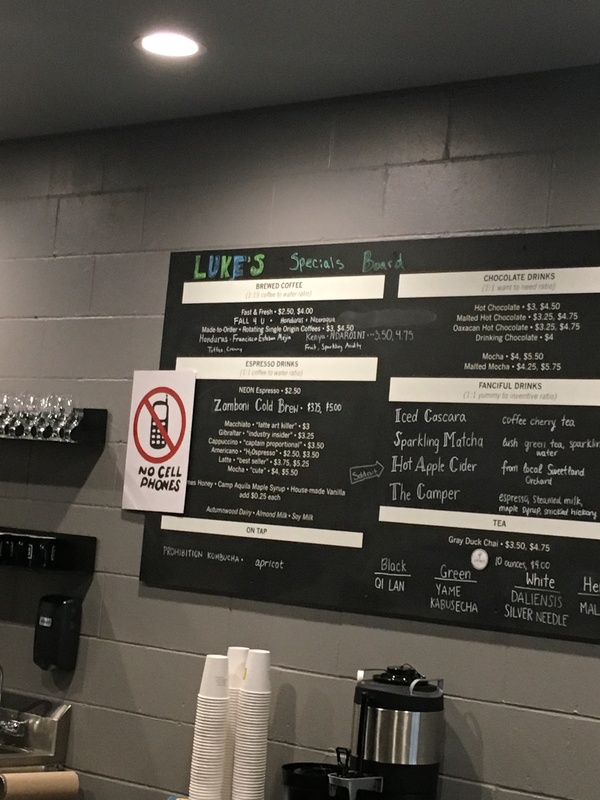 As promised, there was a Luke’s sign and the barista was dressed like Luke! 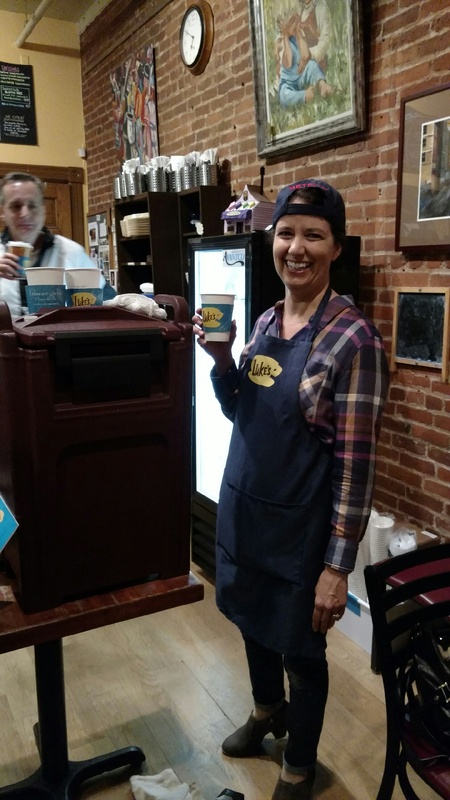 When we got inside, we were ecstatic to hear Gilmore Girls classics playing on the speaker (There She Goes, Where the Colors Don’t Go and of course the la-la-la background music!) We felt like we were in an episode. 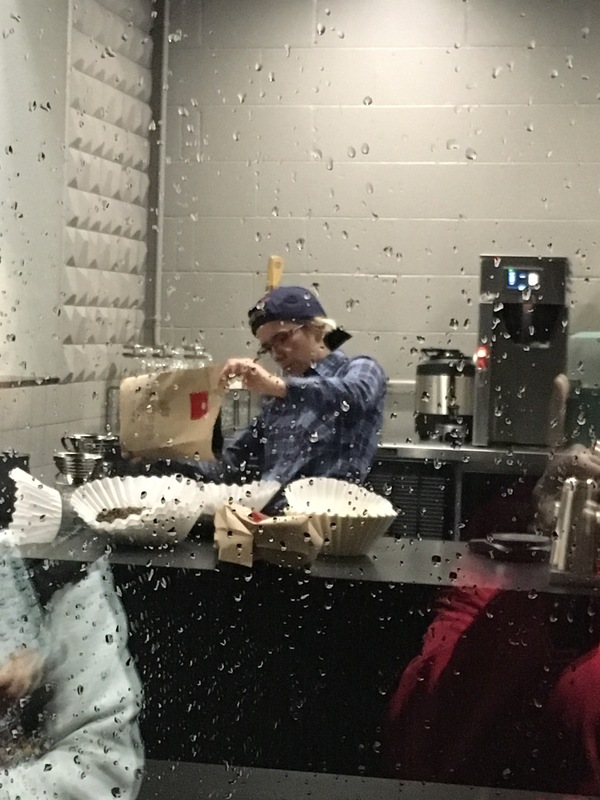 They were even playing an episode at the register! Here we are with our cups! 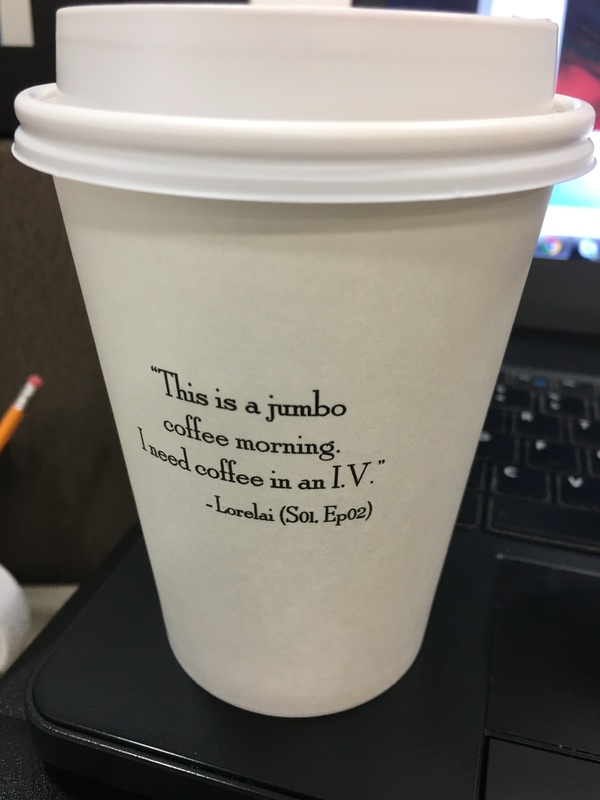 Netflix shared ahead of time that there would be a surprise hidden under the coffee sleeves. Want to know what it is? Drum roll please…. A quote from Lorelai (naturally). 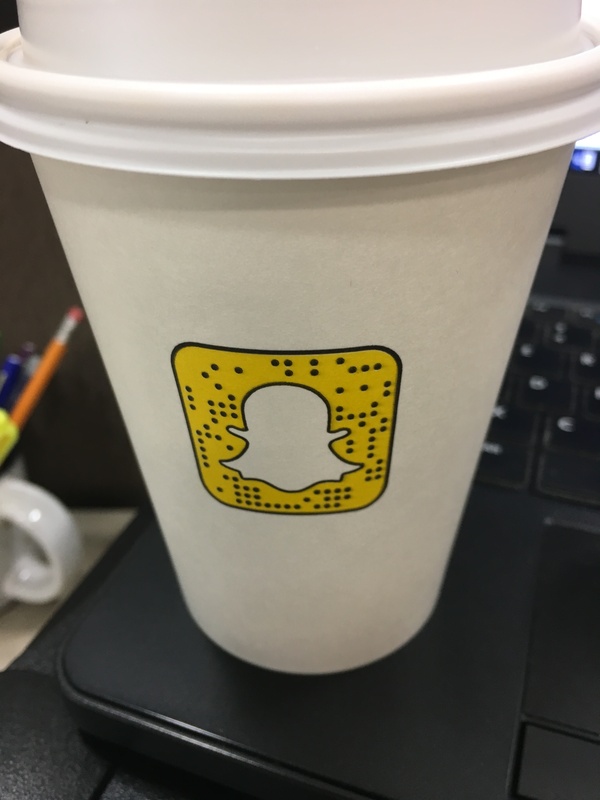 The Snapchat logo alluding to a Gilmore Girls Snapchat filter. Unfortunately, I’m not Snapchat literate and didn’t know how to find the filter, so I don’t have a picture of it 😦 Does anyone reading have one? But the experience was still amazing! 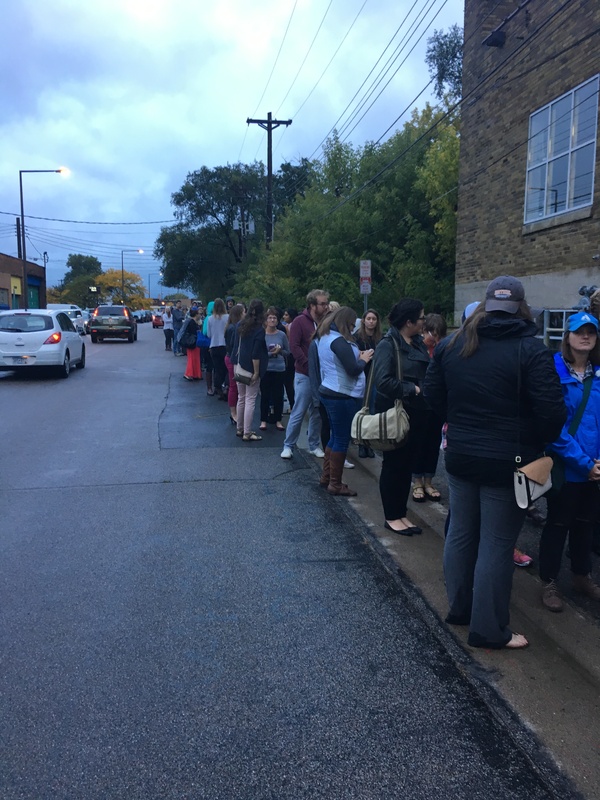 When I went to leave around 7:40, I couldn’t believe the line! It was wrapped all the way around the block. The line was past my car parked on the street and the crowd had to divide to let me out. Gilmore fans are dedicated, folks. 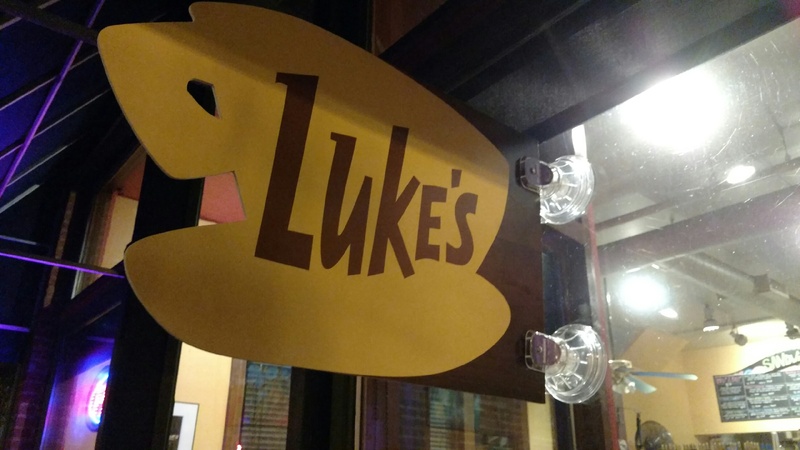 All in all, it was a great celebration of the show’s birthday! 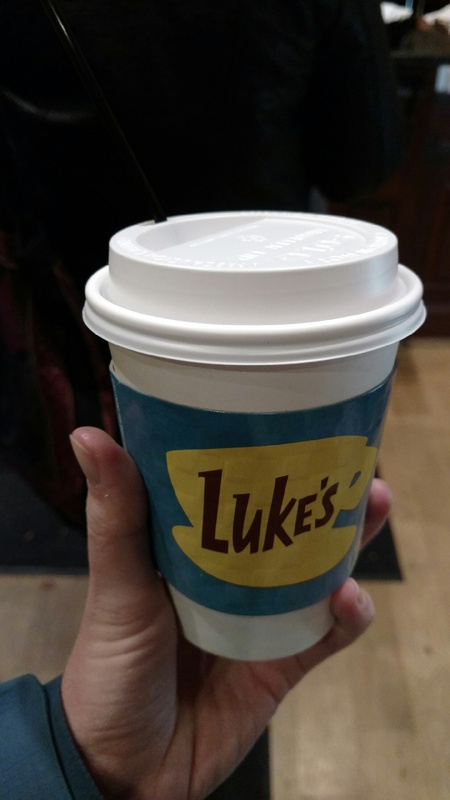 If you want to keep the celebration going, be sure to watch Season 1 and check out my Gilmore Girls Challenge! Here’s a playlist to listen to as well- it’s what I’m doing this work day!